In line with its sustainability risk framework and consistent with the Paris Agreement, Swiss Re has begun implementing a group-wide policy that will see the insurance giant shutting its doors to businesses with more than 30% exposure to thermal coal. Announcing the plan’s effectivity, Swiss Re said the decision to come up with a thermal coal policy was based on its commitment to the “Paris Pledge for Action,” taking on global warming and supporting what it described as a “progressive and structured” shift away from fossil fuels. Implemented across all lines of business and the (re)insurer’s global scope of operations, the policy applies to both existing and new thermal coal mines and power plants. With the policy in place, the underwriting side now matches Swiss Re’s existing practice when it comes to investments. More than two years ago, the Zurich-headquartered firm stopped investing in companies that generate 30% or more of their revenues from thermal coal mining or that use at least 30% thermal coal for power generation. Swiss Re also divested from existing holdings. Reacting to the latest development, Unfriend Coal’s Peter Bosshard said the announcement, coming from one of the world’s “ultimate managers of risk,” sends a strong signal to governments, investors, and financiers that no new coal projects should be developed. “It will add to pressure on Munich Re and other insurers to end support for a fuel which is inconsistent with the fight against climate change,” commented the campaign coordinator. 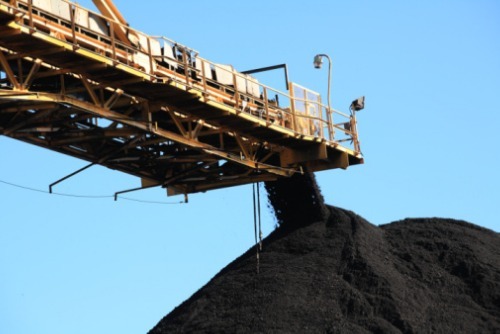 Swiss Re group chief underwriting officer Edi Schmid said the implementation of the coal policy is a major step forward in ensuring that the company’s business activities are aligned not only with the Paris Agreement but also with related national efforts. Schmid added that Swiss Re is working with clients to assist them in adapting to a low-carbon economy. Lucie Pinson, however, wants more.